Our weatherization services cover a broad range of services to ensure true energy efficiency with proper building insulation, ventilation & air tightness. Weatherization is a simple way of describing a complex service. Weatherization is the service that most western Massachusetts buildings need. At Energia we take a “whole building” approach to weatherizing a building. The goal of a “whole building” upgrade is a healthy, safe and energy efficient building. When a building is well insulated and air sealed, the building envelope keeps healthy air and temperatures on the inside of the home and keeps the elements out. Air sealing ideally starts with a Blower Door test to identify current air leaks. After the work is done we retest the building to gauge the effectiveness of the installation. A flash coat of closed cell spray foam is used to seal off walls or floors to separate the interior conditioned areas from the adjacent unheated spaces. We spot treat any problem areas with spray foam gun and major chases are sealed off using reflective foil and foam. Areas around combustion flues and chimneys must be treated properly to conform with building codes for fire safety. 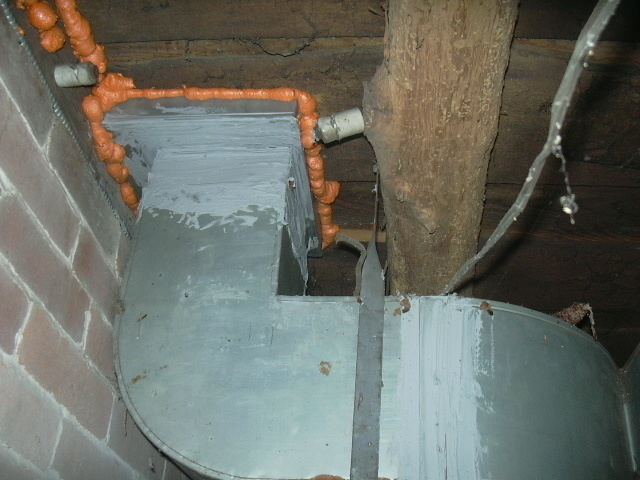 Chimney perimeters often contribute to heat loss through air movement. 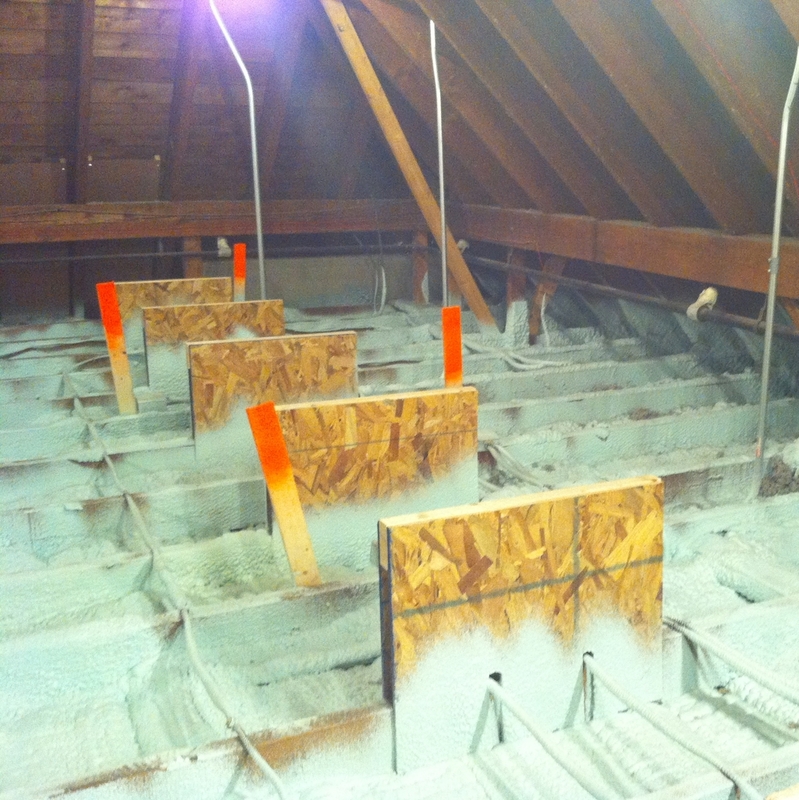 We make any necessary updates to improve ventilation in attics and crawlspaces. Ventilation of roofs can be important for ensuring roof sheathing and roofing materials remain durable. Mechanical ventilation of bath fans, kitchen exhaust fans, and clothes dryers is important to remove hot moist air from the house. Improperly vented fans and dryers can load moisture into the living space and lead to indoor air quality issues. If you’re ready to improve the efficiency and comfort of your western Massachusetts Home or Building, give us a call at 413-322-3111 for a free estimate. Our team can provide free estimates for your weatherization project. It’s no secret that Western Massachusetts is a beautiful place to live. One thing about the area that keeps homeowners on their toes, however, is the unpredictable weather. For this and many other reasons, homeowners in the Pioneer Valley Area owe it to themselves to weatherproof their homes as efficiently as possible. When winter hits in the Pioneer Valley, many residents look towards weatherization to ensure that their homes are not only comfortable, but safe and protected against ice dams for those days when inclement weather gets out of hand. Summer may not be the time of year that weatherization pops into people’s heads, but many are surprised to find out that it’s just as important throughout the summer as it is when winter is in full swing.